Don't leave success to chance. Swhacker 2-Blade Expandable Crossbow Broadheads feature a durable stainless steel ferrule and cut-on-contact chisel tip that deliver maximum kinetic energy and excellent penetration. Two Razor-sharp mechanical blades deploy after entering the body cavity, leaving a large exit wound for easy tracking. 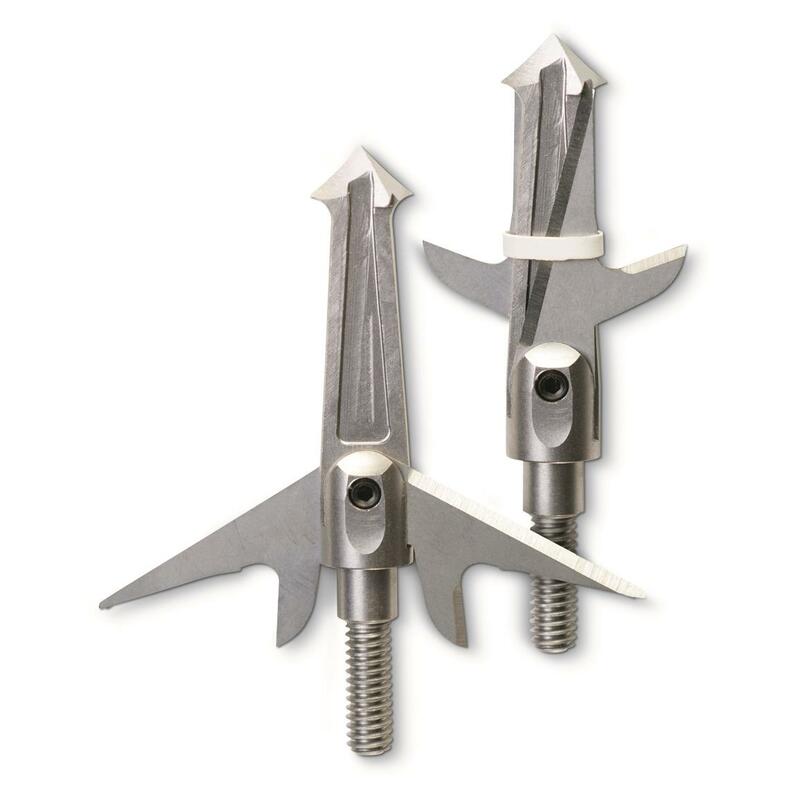 Includes three broadheads and 1 practice point. Length Of Head (insert to tip): 2"
Ferrule Diameter (at insert): .325"